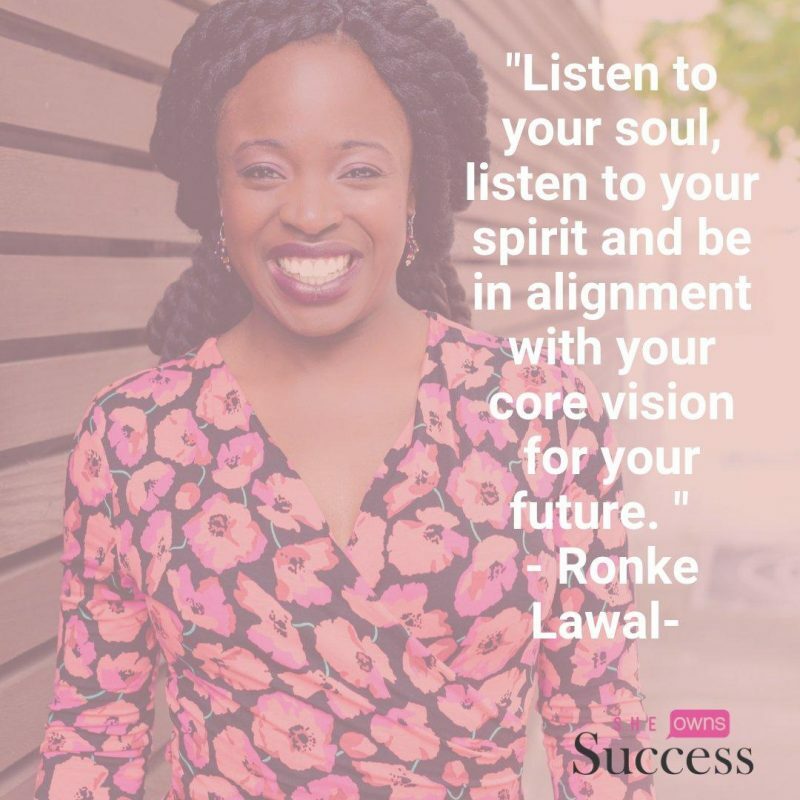 I was recently interviewed by Antonette Oloo for her podcast channel “She Owns Success” in which I spoke about my PR business journey and the lessons that I have learnt along the way. The interview was a great opportunity for me to take stock and also to share some of the very real challenges and breakthroughs I have had a long the way. PR is a fascinating industry to be part of and quite often it is misunderstood, so this was a great chance to set the record straight and also enlighten listeners. There are certain places where unless you can grow a really thick skin and build a support network, it can be tough! The world will tell you that you are not good enough, especially as a woman in business. We see that with the gender pay gap and the ethnic pay gap as well. Find beauty, even when it can be dark and even when you are going to be tired. 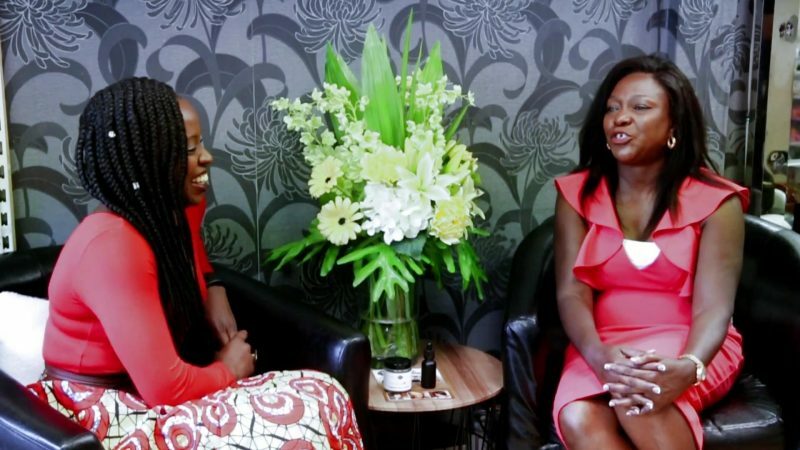 In this insightful interview I meet Abbey Osho and we discuss how to run a successful hair salon like her business, Salon ABV and what others can learn from her business journey. In this video we cover tips for salon growth, PR and marketing, customer services, finance, offering a quality service and more. I really enjoyed speaking with Abbey, whose warm nature and honest answers ensured that this was a really useful interview which I am sure many will learn from. 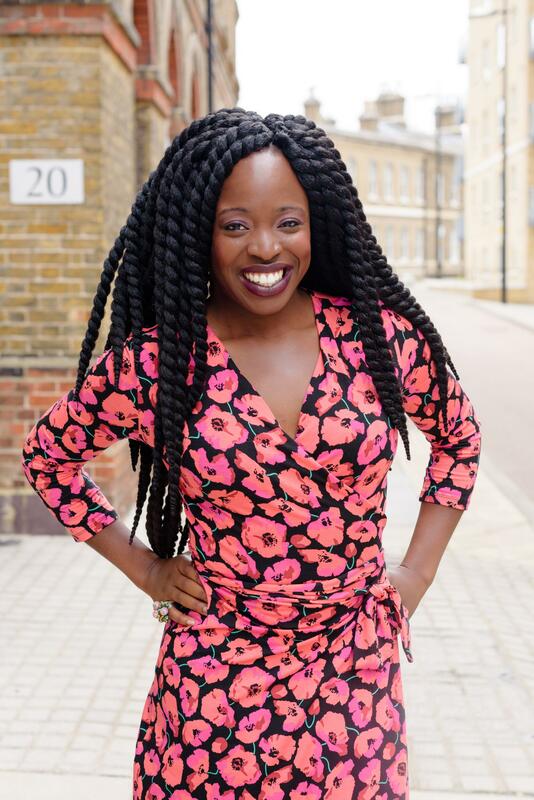 Abbey Osho is a formidable award-winning hair entrepreneur with a thriving hair business in South East England. For years she had a successful career as a housing practitioner but knew that it was not her life’s calling. In 2003 she moved to Dartford, Kent an area with little to no services for ethnic minority communities at the time and was inspired by the gap in the market. In 2010 Abbey opened her first Hair salon Salon ABV. The business has been featured by Black Beauty & Hair magazine, Blackhair magazine, Brownbeautytalk online magazine and MelaninMindsoul Blog. Salon ABV has won Chemical Treatment of the year 2014 & kids haircare of the year 2016 at the NoScrunchie Good Afro Salon awards which is a reflection of the level of customer care that the business has developed over the years. The salon regularly hosts hair and wig care seminars and workshops and is becoming a central hub for Afro/Mixed race and curly textured hair in South East England and beyond. Salon ABV is also registered as a L’Oreal Professional salon. This video was made by Visuals by LollyComms. 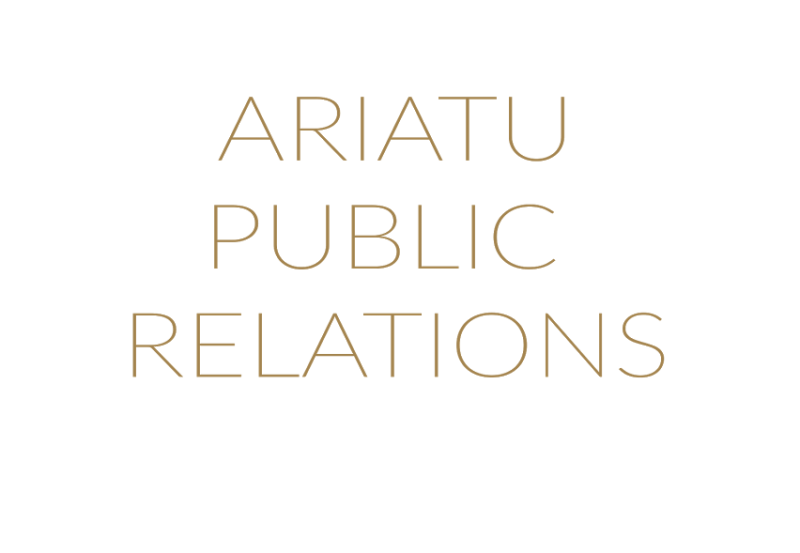 One of the most powerful aspects of public relations is media relations. Many brands and individuals seek PR agencies to undertake a media relations campaign in order to get featured by the press and it is a great way to build credibility. Media coverage raises awareness of your brand and the work of your business and encourages people to pay attention to your business. 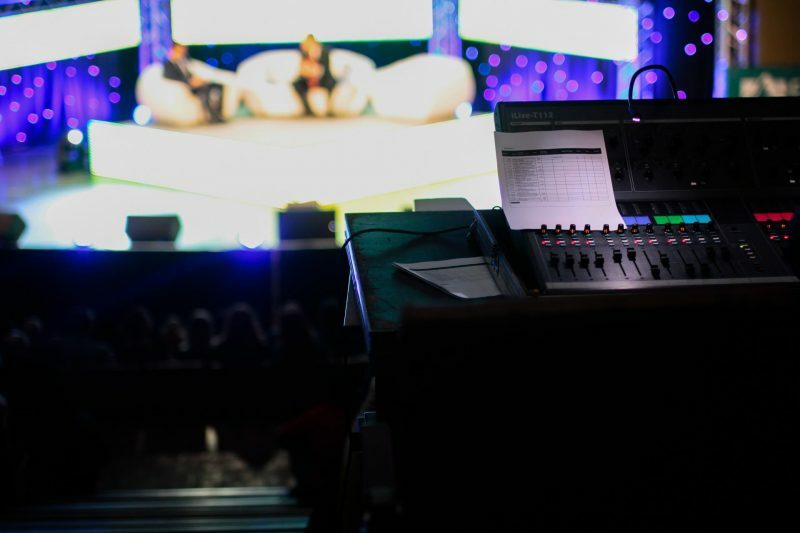 If you or your PR agency has been fortunate enough to get you media exposure then it is important that you take the time to prepare especially if it is your first time in the media spotlight which is why media training is so important. Media training is often focused on any video or audio interviews but you may find that you need to seek advice on making the most of written interviews. Making sure that you bring your best to a media interview will reap rewards in the future and allow you to capitalise on the content which is created with that interview. Media training will also give you the confidence that you may find that you are lacking due to fear of failure. Effective media training also prepares you for some of the pitfalls that comes with media exposure. Remember that everything you say whether it is written or recorded can make or break your brand, you might go viral for all the right reasons or you could even have a PR crisis for the wrong reasons. 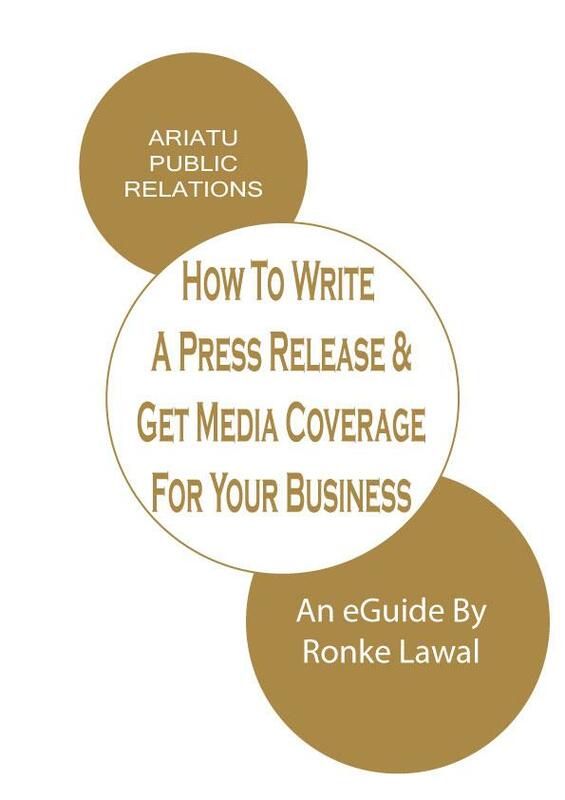 I wrote this easy to use media training Ariatu PR eGuide provides constructive tips and advice on how to prepare for a range of media interviews via traditional media and new media. 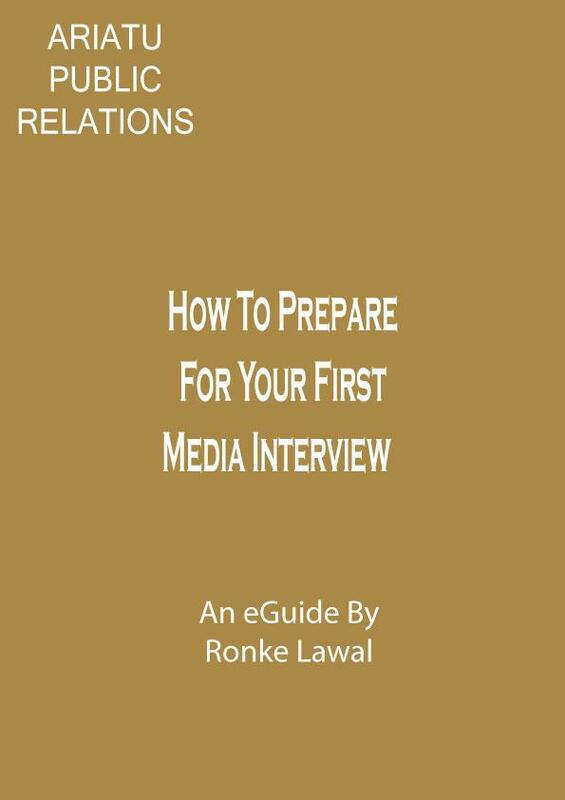 This is ideal for individuals who are about to conduct their first media interview and is an ideal tool to prepare for press coverage. Make sure you order your own copy here.